1. Damaged roofing – Leaks are typically a sign of the later stages of roofing damage. If you notice stains on the ceiling or any signs of a leaky roof, contact us immediately for an assessment. We will then make recommendations as to whether repair or replacement is more appropriate. 2. Water puddles near the foundations – Puddles near your home’s foundations could weaken the soil, reducing the foundations’ foothold and compromising your home’s structural integrity. Overflows are the usual suspects in this case, so the first thing to check is if you have clogged gutters. You should also check for holes, weak joints, or sagging gutters. For clogged gutters, call the experts to perform a full inspection and cleanup. You may also want to consider investing in gutter protection like Leaf Relief®. As your expert in Munster roofing, we offer this gutter cover to protect the system from leaves, debris, and even small animals. 3. Cracks in the foundations – Cracks are another red flag you should keep an eye on. Take a walk around your home and inspect the foundation posts. Hairline cracks less than a half a tenth of an inch wide are normal and shouldn’t be a problem. Anything wider and you’ll have to call a foundation expert to assess what to do next. 4. Dead trees – You’ve probably seen your share of dead trees in the yard. They look like they’re still in the fall season even though it’s already summer, which generally mean that you need to have them cut down. If it looks like it’s still alive, consult with an arborist. You should consider having the tree trimmed, specifically the branches close to your roof and gutters. These can potentially poke your roofing and puncture the roof deck, leading to leaks. It could also provide small animals like squirrels access to your roof. 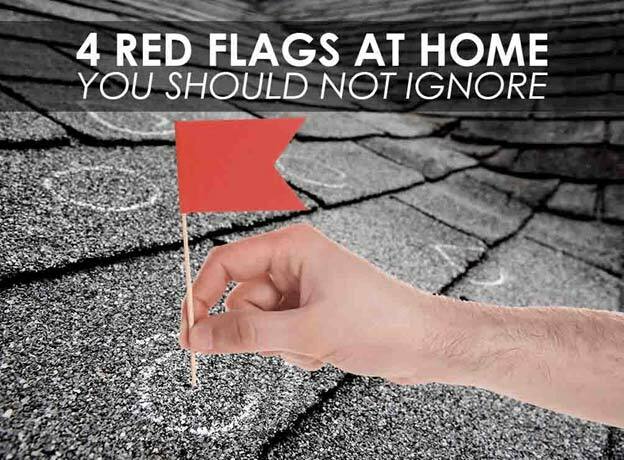 Keeping an eye out for these red flags can help you keep your home safe and comfortable all year long. If you would like to learn more about Dyer roofing or our other services, call Rogers Roofing today. Indiana homeowners can call us at (219) 228-8210, while Illinois homeowners can reach us at (773) 492-2270. You can also fill out our contact form and we’ll get in touch with you as soon as we can.